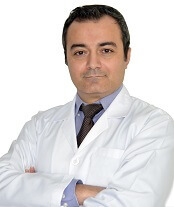 Dr. Ahmad Charif Al Muhammad has over 7 years of experience as an Orthopaedic Surgeon. He was awarded his title with Arab Board in Orthopaedic Surgery administered by the Arab League, after completing 6+ years of specialized recognized orthopaedic surgery training in the central MOH hospital in Damascus, Syria. He topped up his qualifications and skills with 2 more years of training in Dubai. Dr. Ahmad provides professional specialist management of orthopaedic conditions, with special focus on sports related injuries and trauma including both conservative and surgical/arthroscopic care. He provides evidence based approach to the general orthopaedic conditions that have become more common with modern lifestyle such as back pain and tendon and joint strains. He does consultations, joint and spine injections, surgeries and referrals to other specialties should the need arise. Dr. Ahmad cares a lot about putting patients in control of their care by enabling them of informed decision making through providing relevant information and evaluating treatment options. He is a doctor who listens to you.